A super pair of shorts! 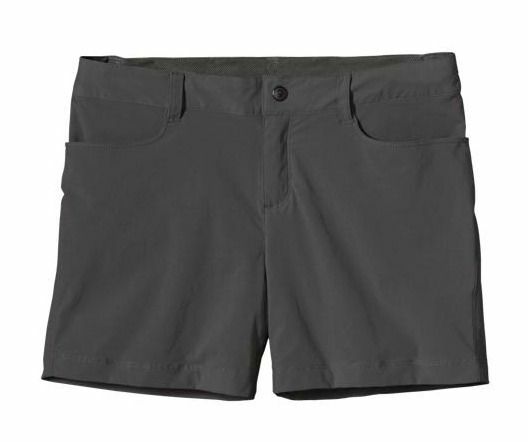 Our friends at Patagonia know their stuff – great fitting shorts, quick-drying, 40-UPF sun protection, and DWR (durable water repellent) finish. TrailblazerGirls will love the lightweight fabric with a bit of spandex to give it some stretch, and a waistband with a hidden drawcord to ensure the shorts fit just right. With 4 pockets, these shorts are just the right length – not too short and not too long. We especially found them to be perfect on a recent rafting trip where we got a little wet, but dried quickly in time for the hike after. Another staple item for the TrailblazerGirl’s wardrobe!